Dhaka, 15 October, Abnews: Bangladesh wants to make sure that the Rohingyas who are expected to return to Myanmar in the first batch of repatriation may have houses and other facilities to live in their own villages. 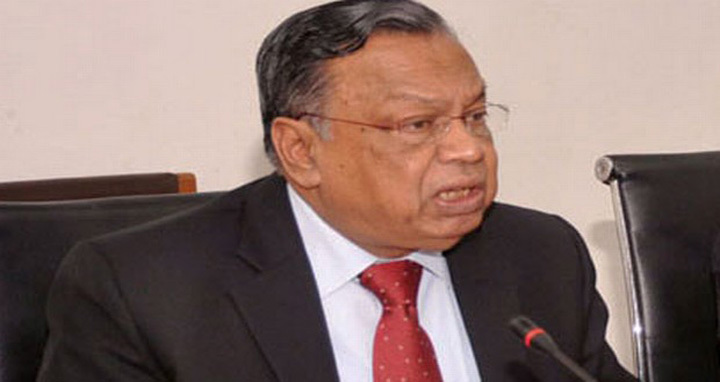 Foreign Minister AH Mahmood Ali said this as Bangladesh and Myanmar are set to sit later this month to discuss the Rohingya repatriation issues. “We’ve completed the village-wise verification of 8,000 Rohingyas to know who came from which village. We want to make sure they can start living in houses in their own villages,” he told a press conference here on Monday. He said they will discuss the issue with the Myanmar side of joint working group at the upcoming meeting. Myanmar has so far failed to take steps to ensure the safe and sustainable return of Rohingyas to their homeland. “We’ve taken all the preparations about the next joint working group (JWG) meeting. The meeting is likely to be held on October 30, if not October 28,” an official told UNB. Members of the JWG from Myanmar side will visit Rohingya camps in Cox's Bazar district. Officials said Bangladesh will seek updates on what steps are taken for the safe and sustainable return of Rohingyas to their homeland from Bangladesh. Prime Minister Sheikh Hasina at the 73rd UN General Assembly made three recommendations for solving the Rohingya crisis at its root, including the abolition of discriminatory laws, policies and practices of Myanmar against the minority group. According to her second recommendation, Myanmar must create an acceptable environment by building trust and guaranteeing protection, rights and pathway to citizenship for all Rohingyas. If needed, it should create a “safe zone” inside the country to protect all civilians. Her third recommendation says atrocious crimes against Rohingyas in Myanmar should be prevented by bringing accountability and justice, particularly in the light of recommendations of the Fact-Finding Mission of the UN Human Rights Council. Foreign Minister AH Mahmood Ali emphasised the need for accelerating efforts to create a conducive environment in northern Rakhine State and build houses and villages for the returnees to facilitate repatriation. Minister Ali along with joint working group members in August this year visited the northern Rakhine State and saw the trail of widespread devastation suffered by people there, said the Foreign Ministry officials. The Bangladesh Foreign Minister also visited Shwe Zar village where around 148 prefabricated houses for returnees are being built with assistance from the government of India.